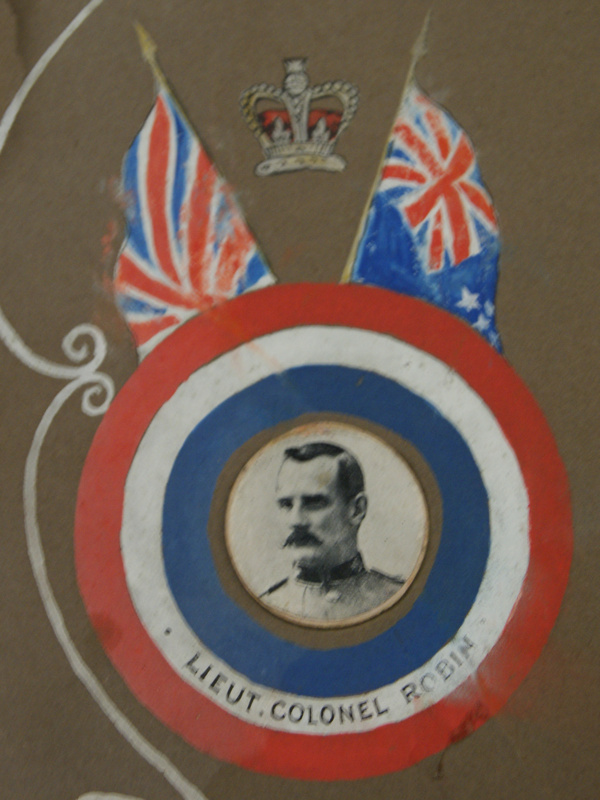 The contents of what was probably a framed picture which at some stage received some water damage. 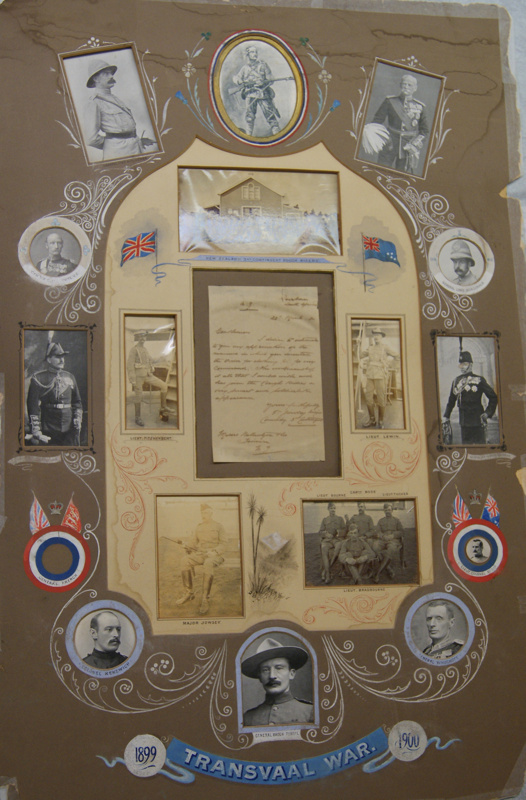 Features around the perimeter various military leaders of the English and Commonwealth Forces in South Africa for the Boer War. 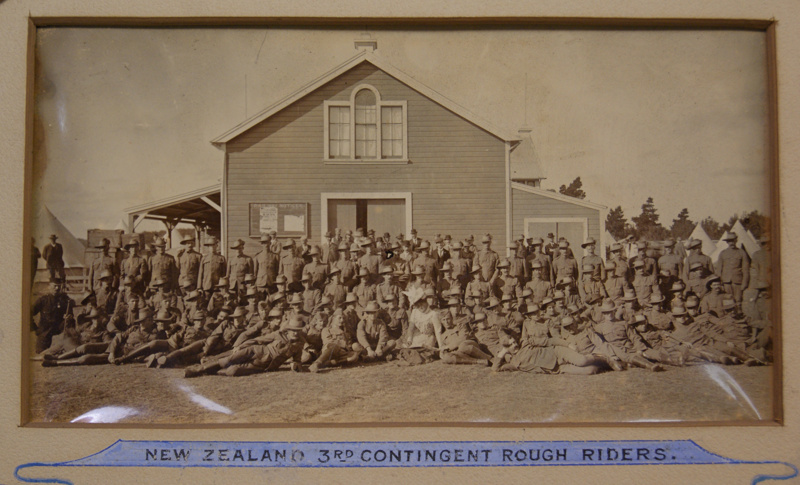 The central section has photographs of the officers and men of the 3rd Contingent, the Rough Riders, of the NZ Forces that served in South Africa, and in the centre is a letter from the Commanding Officer of the 3rd Contingent to J. Ballantyne in Timaru, thanking them for the smartness and quality of the uniforms provided. 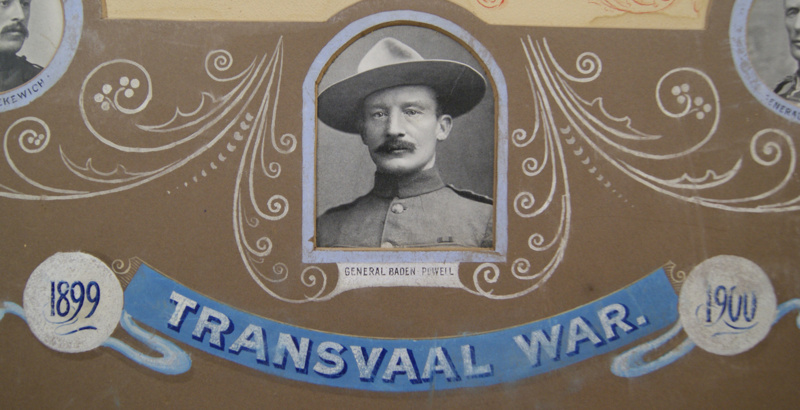 Of relevance to the National Scout Museum is the depiction of Baden-Powell, who after the war founded Scouting, and Robin (later Sir Alfred Robin) who was Wellington's Metropolitan Commissioner for Scouts in the 1920's and 30's.